Josh Paul Thomas, in his first solo art show at Museum as Retail Space (MaRS), REINTENTIONS. The exhibition featured photographic, drawing, painting, and video work in an immersive atmospheric installation. 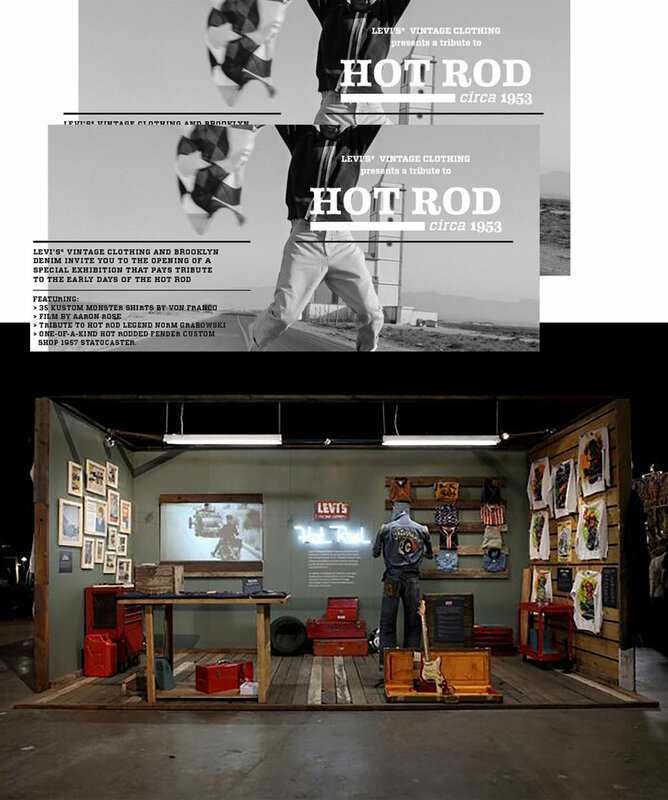 The Studio Haus + Levis with co-producers Imprint Projects presented the vintage Hot Rod Shop inspired by the classic feel of Route 66.